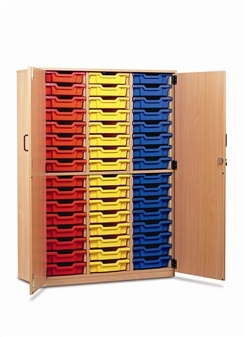 Fully assembled wooden beech or maple tray storage cupboards, open and with no doors, or with full doors, to take 48 or 60 Shallow Gratnells plastic trays. 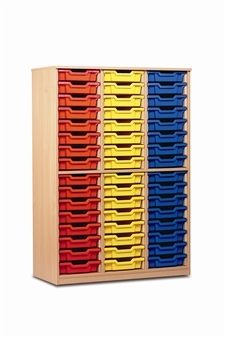 These cupboards are suited to school, classroom, and other educational environments, and may also be used at home or in the office. 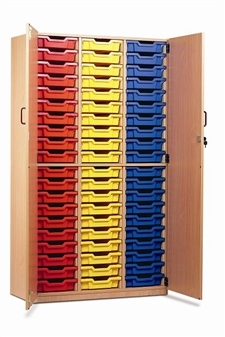 The units are available in the full range of Gratnells plastic tray colours. 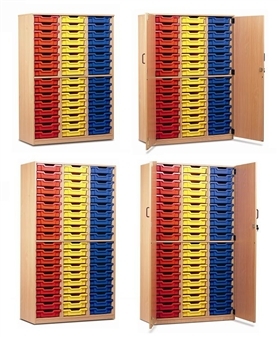 Or order a combination of red, blue, green and yellow trays (see below). 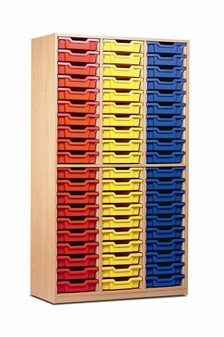 More Tray Colour Combinations Available. Please Call To Discuss.